Your customers are already here and have chosen you over your competition. 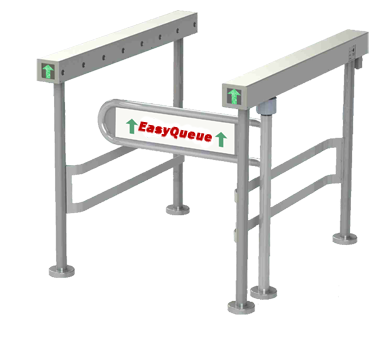 Reinforce your branding or other messages through in queue banners. Not only a promotional vehicle, but a quick and easy portable display barrier for show rooms, malls or trade shows. Permanent and retractable models available in virtually any color or imprint. Available as a free hanging version or as a sleek retractable unit. Contact us about banner options or with questions.